Our classic pink camo tee shirt will make you feeling hip and urban. This heather camouflage inspired top is edgy, but matched with our baby doll cut balances it out with sweetness. 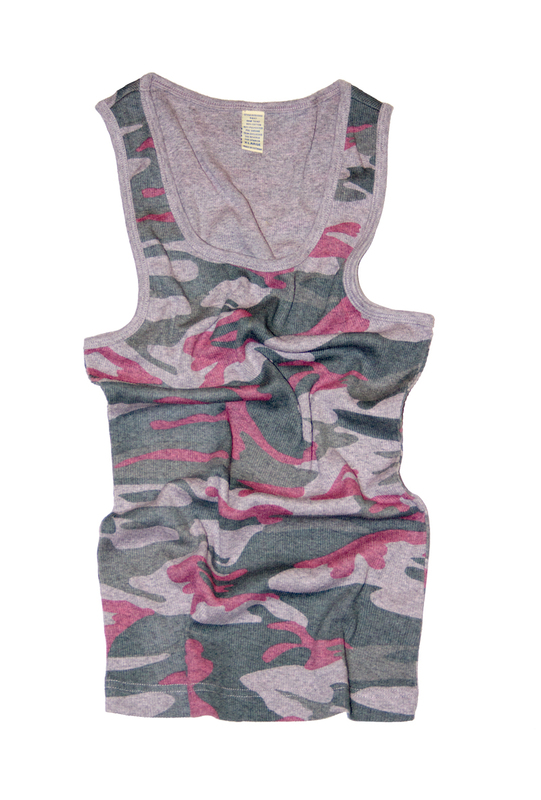 Our classic pink camo tank top allows you to make a strong statement, but still look alluring. Our classic camo tank top is Silicon washed for extra comfort and softness.